Mike Bergelson, CEO of Everwise, a service that connects mentors and protégées, believes mentoring is a great way for big companies like his former employer to develop talent. A study by a former Sun Microsystems executive found that employees who received mentoring were five times more likely to be promoted. And a study of successful people like Warren Buffett found that the second most important reason they believe they’ve been successful is great mentors (Buffett’s was Benjamin Graham). Everwise has developed an algorithm that has contributed to a “96 percent match satisfaction rate.” Assuming that’s true, Bergelson should be an authority on why people agree to serve as mentors. Here are his four top reasons. But why do they feel that way? Some feel that they are repaying a debt to future generations; others believe that if their advice helps a younger person, it will make a little piece of them immortal; still others see mentoring as going back in a time machine and giving a younger version of themselves the advice that they wish they had received. This last reason highlights the importance of matching the right mentor and protégé. After all, if a mentor finds a young person with similar life experiences–such as emigrating from Chile or competing in triathlons–it will strengthen the feeling of giving back to a younger version of herself. 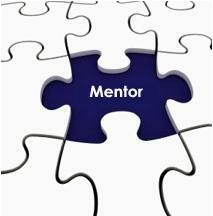 Mentors also like the idea of meeting new people whom they can add to their “I k new when” list. After all, who doesn’t like the idea of bragging to associates that they knew [currently famous person X] before they became successful? For mentors with this motive, there is also a potential financial benefit. The protégé might offer the mentor an opportunity to invest in an early-stage venture. And if that happens, the mentor may not only get bragging rights but a big slug of cash when he sells stock in the now successful venture. Protégés also expose mentors to new ideas. For example, the protégé might discuss how her company is using a new approach to innovation, pricing, or customer service. Mentors may be able to apply some of these best practices to their own activities. People are willing to mentor for free because they already have–in the context of Maslow’s Hierarchy of Needs–met their physiological and safety needs and now seek esteem and self-actualization. Mentoring is a way to get there. Peter Cohan is a strategy consultant, start-up investor, teacher, corporate speaker, pundit, and author.